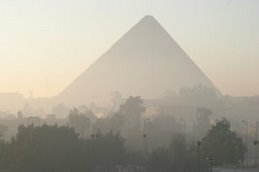 Egyptology News: What's going on in heritage management? What's going on in heritage management? Netherlands/Flemish Institute in Cairo (NVIC) and the American Research Centre in Egypt (ARCE) convened a one-day Heritage Management Workshop on 22 November to review the current situation in Egypt and discuss a way forward. In her opening address Kim Duistermaat, director of the Netherlands Institute, which hosted the event, said: "Archaeology is no longer purely an academic discipline. Research and site protection are two sides of the same coin. Archaeology is a study of the past; site management relates to the present." There was a certain irony in a high-level discussion on Architectural Heritage Management (AHM) taking place at such a time in Egypt's history when, following the ousting of President Hosni Mubarak and his government, the future is so uncertain. However, its staging was appropriate because the priorities for a new government under Prime Minister Kamal El-Ganzouri rest on restoring order, security, and reviving the economy. Tourism being a mainstay of the Egyptian economy, control of the country's rich archaeological heritage is of major concern in the so-called post-revolutionary era. The Antiquities Brief swung from the SCA (Supreme Council of Antiquities), to a newly formed Ministry of State for Antiquities, and then back again to the SCA within a few months, clearly indicating government uncertainty on how to deal with a complex problem.